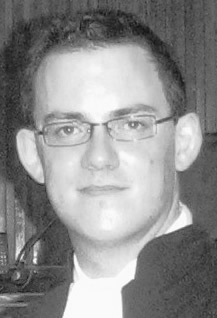 Colin Smith is a graduate of Trinity College Dublin and the Honorable Society of King's Inns. He practises as a barrister in the field of human rights law and specialises in asylum and immigration litigation. He has worked in Chambers at the Special Court for Sierra Leone and in the War Crimes Division of the Office of the Prosecutor at the Court of Bosnia and Herzegovina in Sarajevo. He conducts legal research for the Economic and Social Research Institute and the Human Rights Institute of the International Bar Association. He has published articles on Irish and European asylum law, international criminal procedure and international humanitarian law. He is Treasurer of the Irish Society of International Law and is a member of the Irish Red Cross Society’s Overseas Working Group and the Irish branch of the International Law Association.